How to draw a wooden spoon pencil step by step? 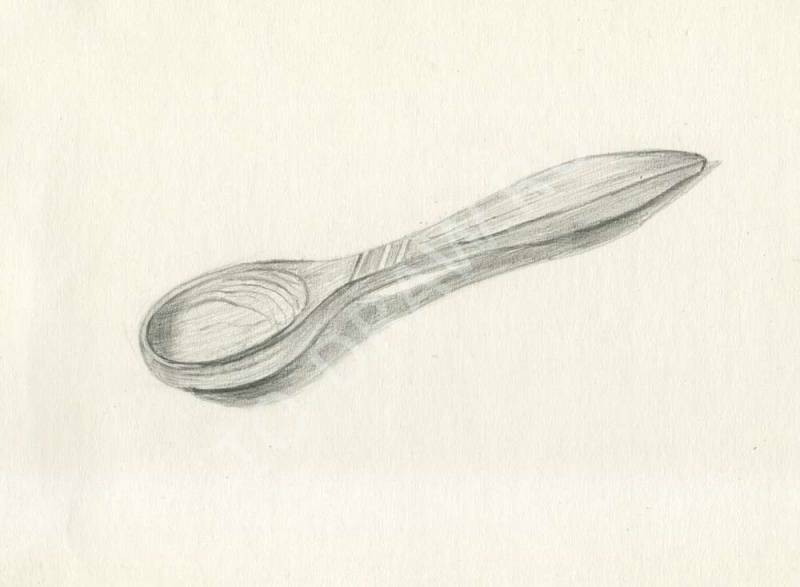 How to draw a wooden spoon pencil? Today we will get there. 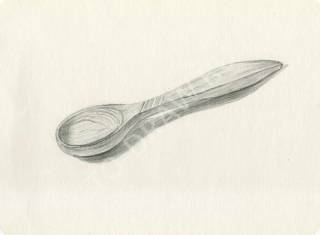 Do a preliminary sketch spoons, measuring the proportions of the scoop and handle, and then transferring them to paper. Sketch delaietsa light lines without pressure. 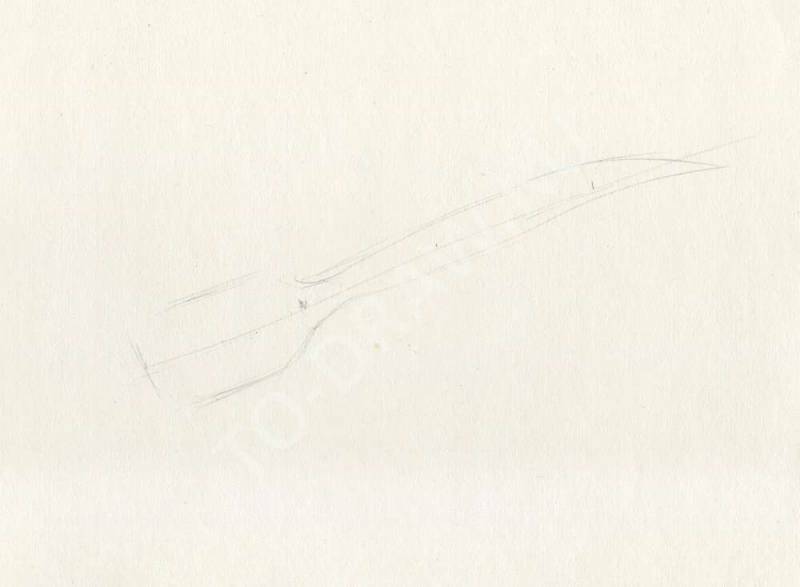 Draw the initial sketch of a spoon. 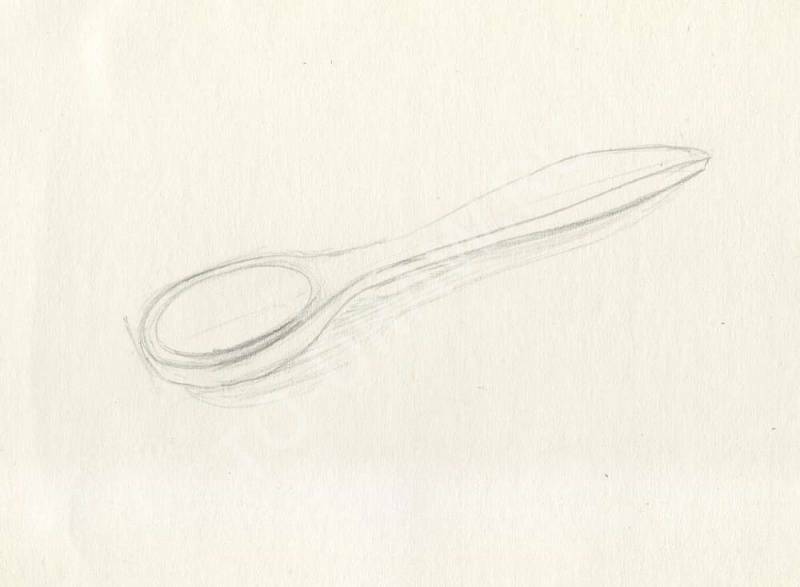 Then draw the shape of our spoons: the form of a scoop, the thickness of the intended shape of the shadow. The shape of the shadow in each individual case is different, depending on the light direction, its position and distance from the subject. Draw the shape of a spoon. The next step is to add tone to our figure. Watch carefully for changes in tone, it is not the same throughout the surface of the object. The thickness of the spoon, i.e. its vertical face is in the shaded area, so darker than its horizontal face (unfortunately, the scanner sometimes "eats" tonal variations and they become invisible). Please note that we do not draw out the subject on the external contour with the same pressure pencil - somewhere border spoons very clear and bright, and in some places soft or almost invisible, blending in with the environment. Shadow heterogeneous in all its square. The darkest place of the falling shadow is under the spoon, on the border of contact it with the table surface. Draw the veins of the tree inside scoop and longitudinal of the handle. Working to tone and add a shadow. The added contrast of the whole picture, if necessary. Please note that on the wooden surface is no glare is a property of this material as some other rough, opaque and porous surfaces.